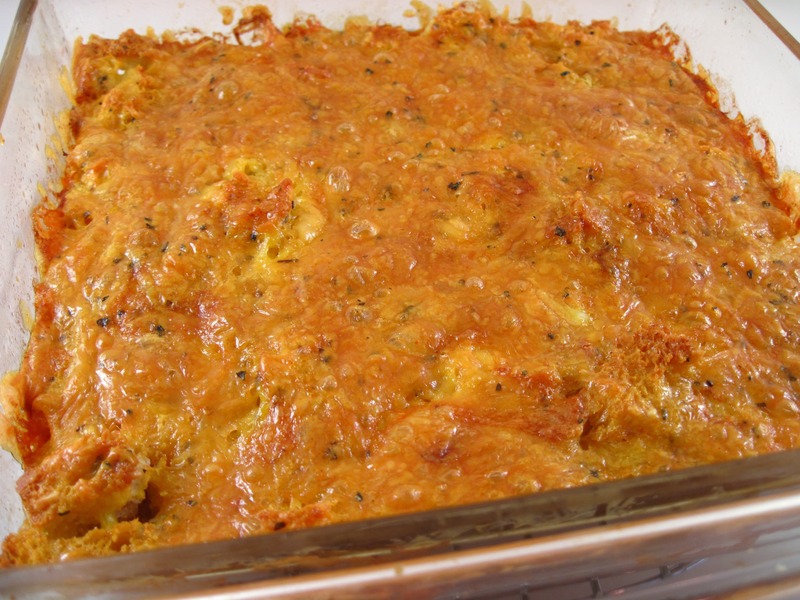 Joan’s Eggs is a fantastic breakfast casserole! It couldn’t be easier and everyone seems to enjoy it. I’ve been making Joan’s Eggs for almost 30 years and it’s always well-received. It would be a great choice for a Mother’s Day brunch! It’s actually best if it’s assembled the day before and then baked the next morning. Last weekend I made it in the morning and baked it right away. It was very good, but I discovered that it really does have a better custardy consistency if it is allowed to sit overnight before baking. I got the recipe years ago from a close friend who happens to be named Joan; she claims, however, that it is not named after her. In my mind, though, it’s her recipe and whenever I make it I always think of our friend, Joan. This recipe makes 4 servings. Double the ingredients and bake it in a 9×13-inch pan to serve 8. 1. 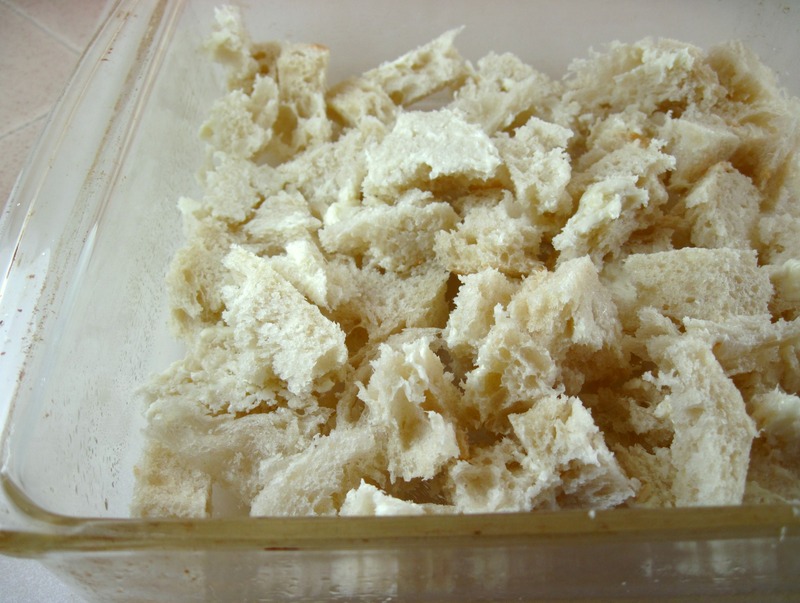 Tear the bread into small pieces and place in a greased 8×8-inch casserole. 2. 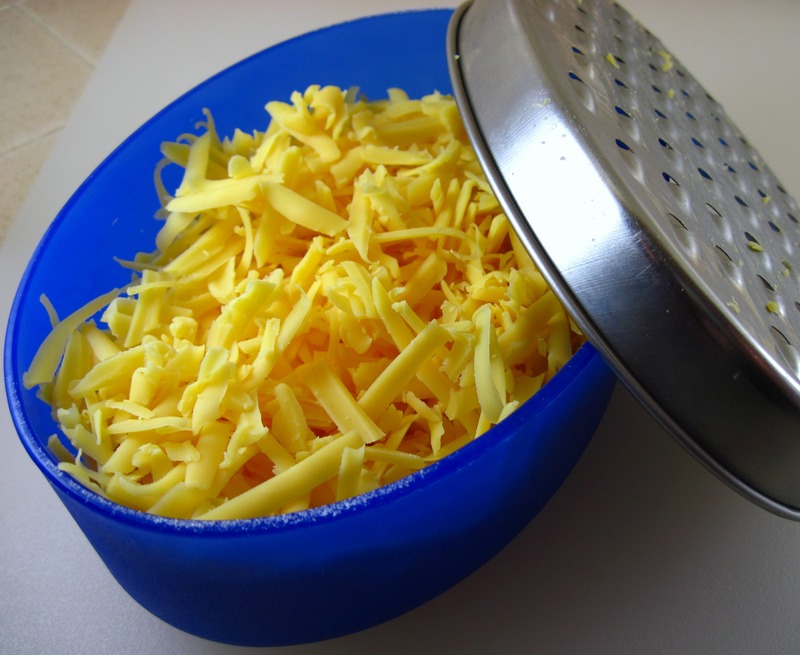 Beat eggs, milk, seasonings, and cheese together. Pour over the bread. 4. 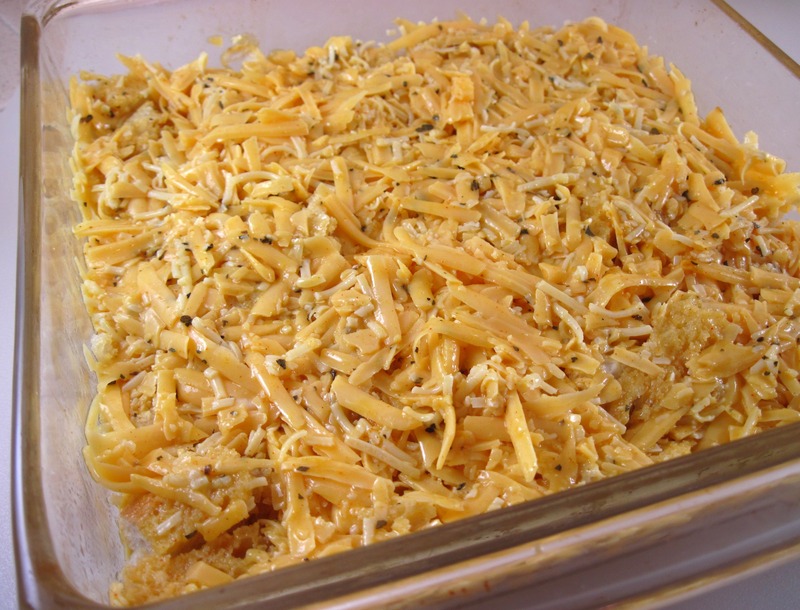 Take the casserole out of the refrigerator and preheat oven to 350˚. 5. Uncover the eggs and bake for 45 minutes. I make a very similar egg casserole. Instead of breaking up the bread I cut of the crust and lightly butter it and line the bottom of the greased pan. Then I pour in an egg/heavy cream mixture, top with 1lb bulk sausage (I use Jimmy Dean, browned and drained). Then I cover with a ton of cheese and refrigerate overnight. 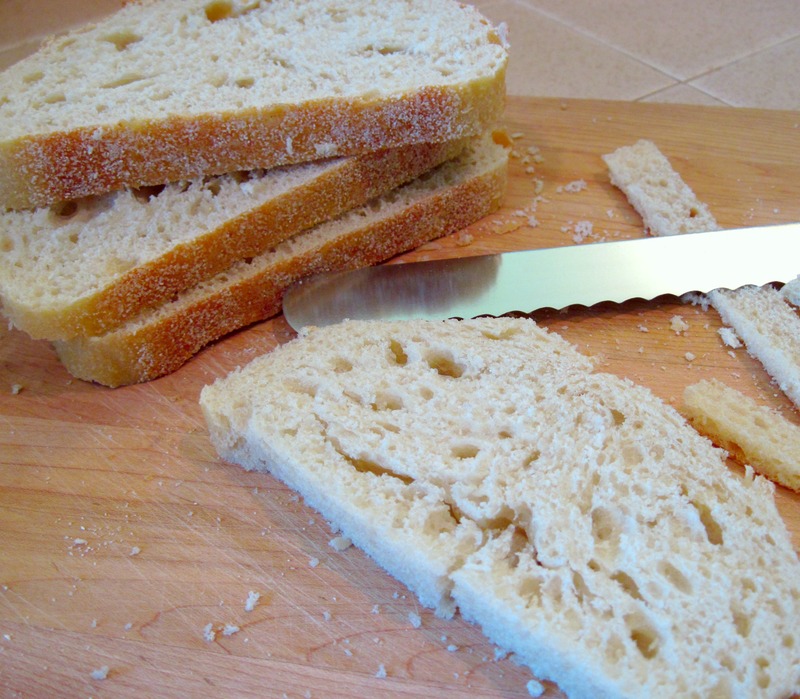 I use 1 slice of bread per 1 egg so it is easy to scale up or down. Can’t wait to try your version, I may even make this weekend! These look very tasty indeed. I’m going to have to host a brunch just so I can try these. I wonder who the original Joan was? How lovely that this dish has been in your repertoire for 30 years. It’s obviously a keeper! I still think the original Joan is our family friend and she’s just being modest, but I’m not sure. 😉 It has been a favorite for many years. Great recipe Kathy! Made it for Mother’s Day today, and a huge hit… always seem to find myself coming to your blog when I’m looking for a recipe for a special occasion! One quick comment – I accidentally left out the milk and realized after that it never got listed along the way in the recipe’s steps! Came out great, nonetheless, but just a thought to add it in for future cooks. I make something similar, too, but yours has some added spices…which look great! Thanks! Your egg dish is a wonderful dish for a Mother’s Day brunch. I like all of the spices, especially the mustard.sometimes the oldest recipes we have are the best, the ones that we always go to .